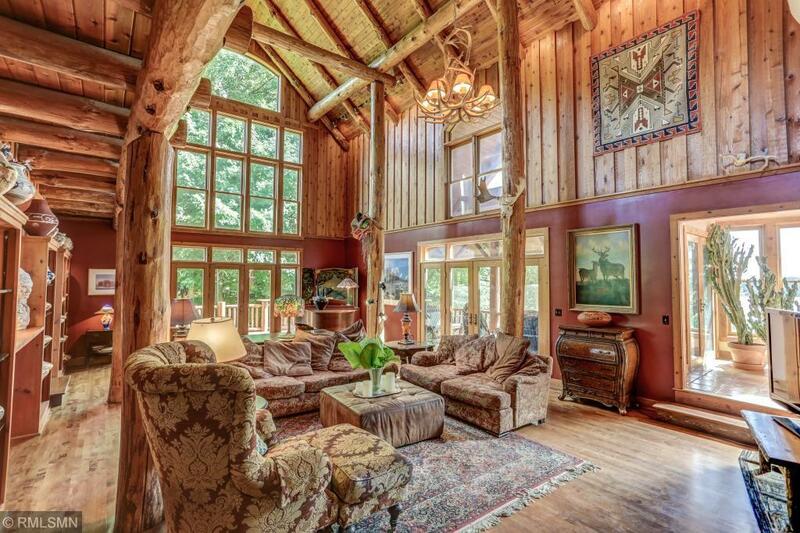 Enchanting North Woods Lodge Style Lake Home. Privately Placed on 7.6 Acres & 385' of Lakeshore. Secluded Country Drive thru Woods, Prairie Wild Flowers and Arrive At Your Getaway Lodge. Located Just 5 Miles West of Mound & Walking Distance to Timber Creek Golf. Tree Top Master Suite, Main Lvl has Dramatic Spaces for Entertaining & Quiet Living. W/O Level Features 2 Bedrooms, Amusement Rm, 3/4 Bath, & Indoor/Outdoor Kennel. Private Lake has No Public Access. Fish, Boat, Jetski, Canoe, etal.